Do You Want To Create £1M In Sales? In business it’s usually one of a few things that are holding us back, sales skills, marketing, knowing our numbers, managing our time or getting the right people around us. A certain set of attributes are required in order for a business owner to overcome these blocks and be successful – once you have overcome them there’s no reason why you can’t achieve sales of £1m or more over the next 12 months. 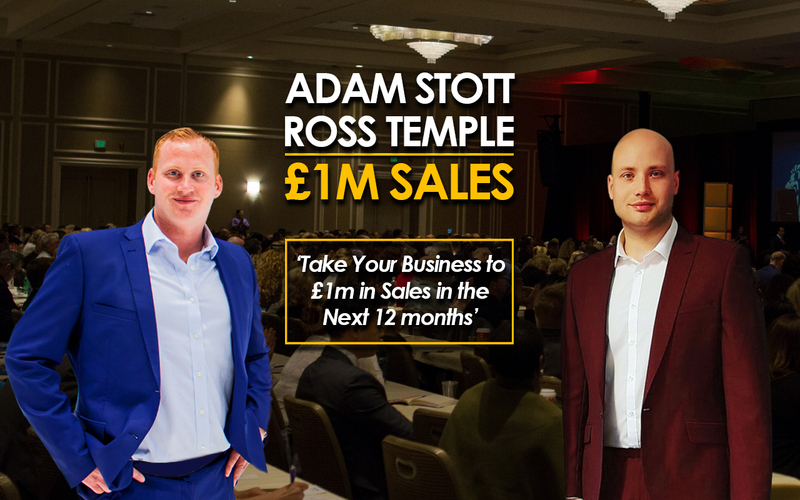 Join Adam Stott (Business Coach, International Speaker and Author) and Ross Temple (Transformational Coach and NLP Master Practitioner) on 10th September at the Best Western Hotel in Colchester, Essex from 7pm-9pm and find out what it takes to get to the magic £1M. Our speakers have shown hundreds of business owners how they can generate more leads, increase sales, improve conversion rates and create growth in their businesses. It’s completely free for you to attend – just reserve your seat by submitting your details below.